You’ve all heard the excuse or even said it yourself that, “eating healthy is too expensive”. At times it can be more expensive yes, but there are ways to shop more efficiently and break even. 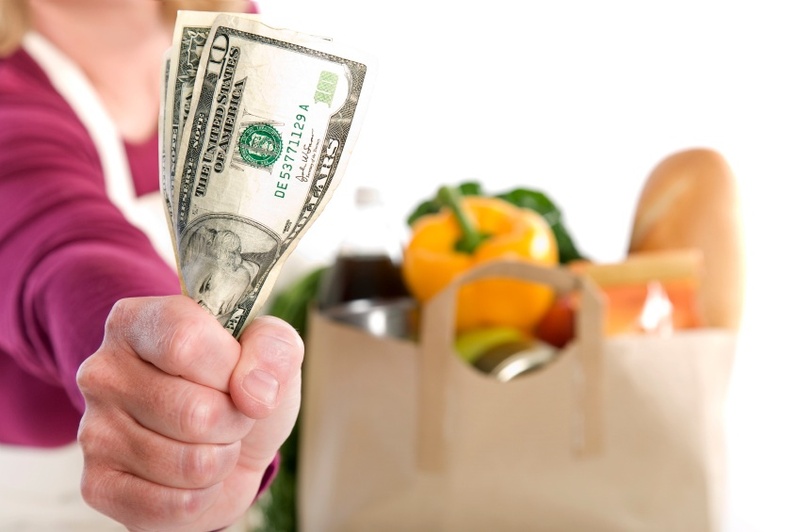 I’m going to provide you with some ideas and tips on how to save a couple bucks and keep to your routine budget while improving your diet at the same time. Even if you were to go over your typical budget, keep in mind that thinking long-term you are more likely to stay healthy and as a result save money for cutting healthcare costs. Not only that, you will look and feel better because at the end of the day you are what you eat! 1) Swap fresh berries for frozen berries. Since they are frozen they hold the same nutritional value as fresh berries, they last longer, and you do not risk the chance of having to throw out rotten food. Therefore, you reduce the chances of having to throw money away too. 3) Forget potato chips or even veggie chips for that matter. Just spray washed kale with cooking spray, season with sea salt, and bake at 350° for about 15 minutes. They taste just like potato chips and are less than 50 calories per cup. 4) Buy canned fish instead of fresh fish and you will still get your Omega-3s. 5) Instead of buying pricey Whey protein give Tofu a shot to keep your protein intake high. 6) Plan your meals for the week before going to the grocery store. 7) Check to see what you have at home before making a list of what items you need. 8) If an item you eat often is on sale then take advantage of it and stock up on it if possible. Categories: Diet, Healthcare Incentives, Healthy Living | Tags: food, health, healthy | Permalink. The findings were not what the authors were expecting, in fact they were the complete opposite. They came up with a few hypotheses to support their findings. Palen, the physician manager for clinical reporting at the Institute for Health Research at the Colorado Permanente Medical Group in Denver, said the team already had developed several hypotheses for further investigation. “One is that perhaps patients with online access may be more engaged in their health care and therefore use more clinical services initially. We want to see if that leads to better health outcomes for these patients down the road.” Eventually, that scenario could mean a diminishing need for in-person clinical services by some patients. The authors also considered that perhaps online users had more severe illnesses and therefore required more clinical care. Lastly, “Another hypothesis that deserves investigation is that perhaps those who signed up for the patient portal did so because they anticipated the need for more clinical care,” said Palen. The authors Study authors called for further investigation to explain why access to patient portals would increase patient use of clinical services. Categories: Healthcare Reform, Healthy Living | Tags: doctors, health | Permalink. Soluble fiber-rich beans can help curb your appetite by helping you feel fuller sooner. Beans can also replace higher calorie, higher saturated fat-containing meats and cheeses in entrees. Replacing a ½ cup of cheddar cheese for the same amount of beans can shave off about 100 calories from your lunchtime salad. Replacing ½ pound of ground beef with 1 cup of kidney beans will cut 190 calories from a chili recipe. Research suggests that consuming 3 grams or more per day of ß-glucan, soluble fiber, which is found in oats or barley can help lower total and LDL cholesterol levels as part of a heart-healthy diet. Start your morning off with a bowl of oatmeal. Sprinkle chopped nuts over your morning cereal or yogurt. Eat a handful of nuts between meals if you get hungry. While fish is low in heart-unhealthy saturated fat, it provides another healthy quality that makes it a ringer for your heart. The omega-3 fatty acids in fish can help slow the plaque buildup in your arteries that contribute to heart disease as well as reduce your risk of heart disease. It is currently recommended that you eat two fish meals a weekl. Salmon, sardines, and tuna are all good sources of omega 3. When you eat out, order an 8-ounce grilled salmon. Eat half and take the remainder home for dinner the next day. Pesto: You just met you weekly quota of two fish meals. Add canned tuna or salmon to your salad bar lunch. 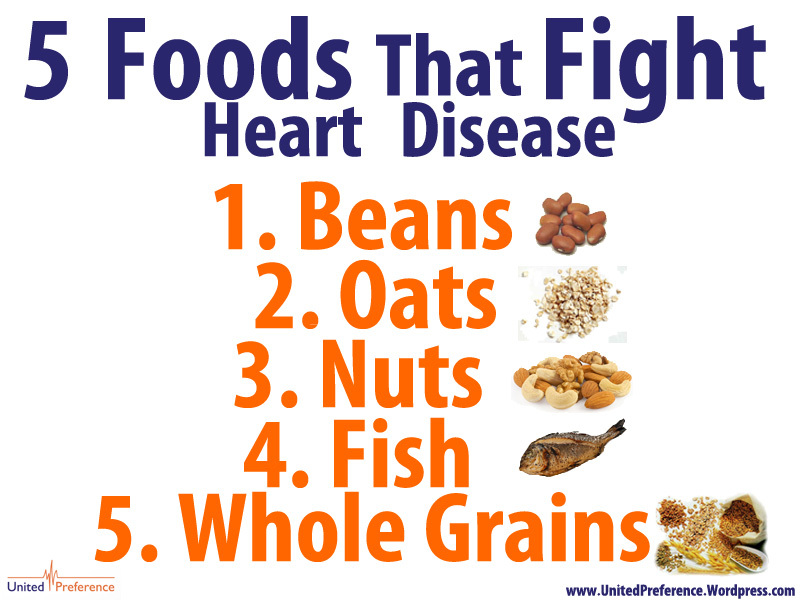 While research shows that whole grains can reduce your risk of heart disease, most Americans are falling short of the recommended minimum three servings of whole grains daily. Make sure that at least half your grain choices are whole grains, such as oats, 100% whole wheat bread, brown rice, and popcorn to gain that heart-healthy benefit. Eating oats in the morning provide the added benefit of being a whole grain. You get two for the price of one when you eat oats. When looking for something crunchy for a snack, pop up a 100-calorie pack of microwave popcorn. Categories: Diet, Healthy Living | Tags: diet, food, health, heart disease | Permalink. According to Manhattan Research, which surveyed 5,210 adults who use the Internet as a health resource, 54% of respondents said they did online research to decide what services they might need and who they would see. Various surveys have said that roughly 75% of American adults search for health information online. Manhattan Research said 79% of patients diagnosed with a chronic disease in the previous three months, and already active online, used the Internet to influence their care decisions compared with 53% who were diagnosed a year earlier. The survey did not ask patients what sites they visit to find information, but other surveys have found that the most popular online place for people to start health-related information gathering is a search engine, Malloy said. Search engines also are good places for physicians to start when they want to see if their online presence needs help, said Howard Luks, MD, an orthopedic surgeon in Hawthorne, N.Y., who consults on digital media and medicine issues. Analysts said the number of patients using the Internet to pick their physicians and treatments could go up significantly when the insurance mandate of the Affordable Care Act takes effect on Jan. 1, 2014. The ACA is expected to add 30 million to the insured rolls starting in 2014, and many of those patients will be looking for a primary care doctor for the first time. Categories: Healthcare Reform, Healthy Living | Tags: disease, health, internet | Permalink. A recent study published on Nov. 5 in the Journal of the American Medical Association (JAMA) had four major findings. First being that individuals with optimal risk factor profiles lived up to 14 years longer free of total CVD than individuals with at least two risk factors. Secondly, men in middle age had lifetime risks of approximately 60 percent for developing cardiovascular disease. Also, women in middle age had lifetime risks of approximately 56 percent for developing cardiovascular disease. And lifetime risks for cardiovascular disease were strongly associated with risk factor burden in middle age. The first author of the study, John T. Wilkins M.D. said, “We found that many people develop cardiovascular disease as they live into old age, but those with optimal risk factor levels live disease-free longer.” Wilkins is an assistant professor in medicine, cardiology and preventive medicine at Northwestern University Feinberg School of Medicine and a cardiologist at Northwestern Memorial Hospital. 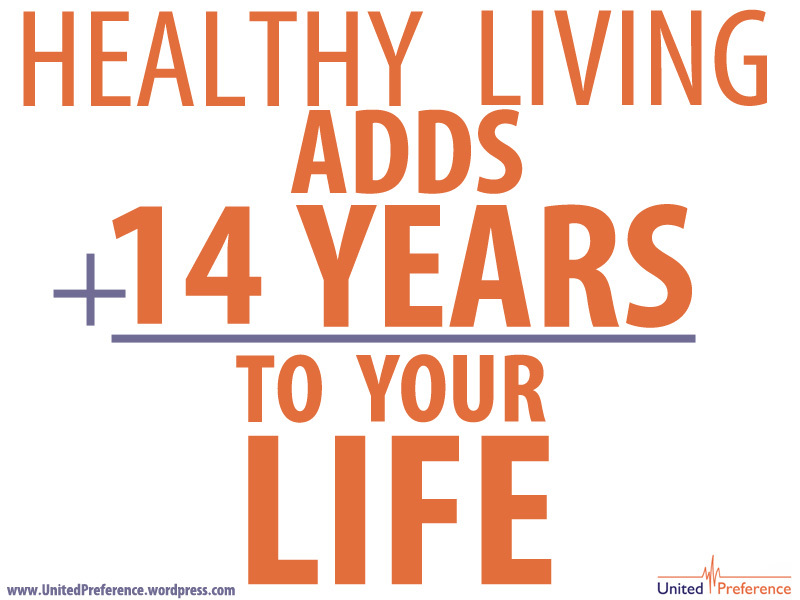 Categories: Healthy Living | Tags: health, study | Permalink. Visit FVRx’s website to learn more. Categories: Diet, Healthcare Reform, Healthy Living, Nutrition | Tags: farmers, fruit, health, prescription, vegetable | Permalink. 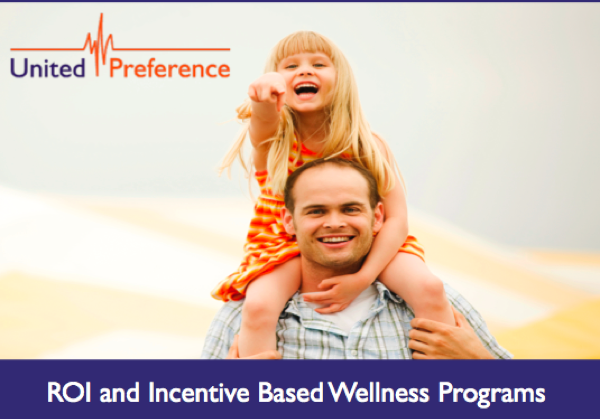 We will be hosting a webinar on Tuesday, October 23 at 1 PM (Eastern Time) 10 AM (Pacific) on ROI and Incentive Based Wellness Programs. It is clear incentives can work and can reduce or curb the rise in health care costs. The American Institute for Preventive Medicine reviewed more than 140 studies around wellness initiatives and found an average ROI of more than three dollars per dollar invested in the area of health care costs, absenteeism and workers compensation. We will also take a look at a few examples of successful incentive programs from well known large employers. You’ll hear about United Preference’s unique approach as well. The webinar presentation will be followed by a question and answer session. Categories: Healthcare Incentives, Healthcare Reform, Healthy Living, Wellness | Tags: health, ROI, webinar, wellness programs | Permalink.